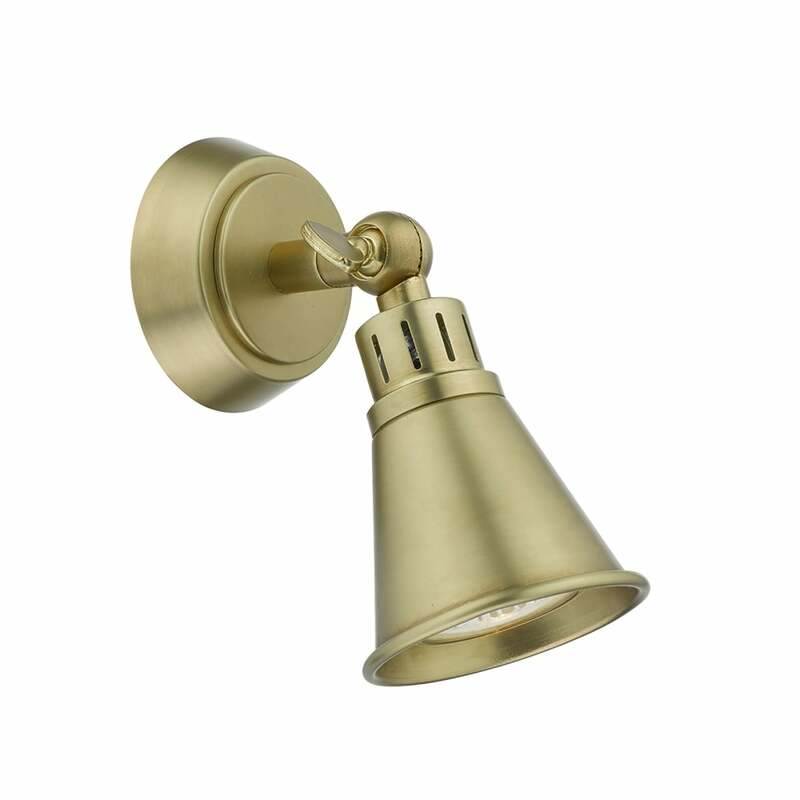 Dar Lighting Edo single light wall spotlight fitting features a circular back plate that supports a cone shaped adjustable spotlight head, in antique brass finish with vintage tap detailing. This product code is EDO0775. Please see our website for the matching 4 light ceiling bar spotlight fitting and 3 light ceiling plate, which can be utilised to create a co-ordinated look throughout your home.